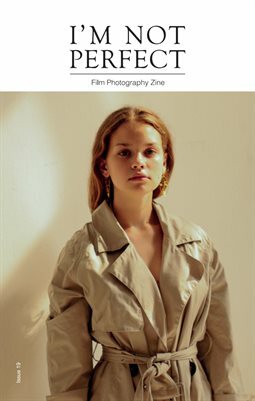 Magazine content, 68 pages, featuring photographers: Masha Grib; Alastair Davey; Alexandre Rochard; Neringa Blazyté; Louisa Rechenbach; Lian Leng; Viktorija Banda; Riccardo Arriola; Filipe Domingues; Elisa Campos; Lyubov Slyusareva; Matt Montella and Matthew Burditt. I’m Not Perfect Zine is a film photography magazine for photographers, fans and all of those who don’t like perfection. Is an independent zine, since November of 2012. For any enquiry, submissions or advertising, please email us.